General practitioners play a pivotal role in identifying depression with an elderly patient, which may be complicated by additional factors such as pain, physical illness, bereavement, loneliness and the adverse effects of medication. Attention span and short-term memory are often impaired during depressed states in older patients. “I don’t know” and “I can’t do it” comments may arise, leading to the possibility of a ‘pseudo-dementia’ diagnosis, where in fact a depressive condition is developing. While the usual symptoms of depression may be evident, the elderly are less likely to report sadness in their general mood. Patients may experience heightened anxiety, loss of interest and pleasure, preoccupation with physical symptoms, fatigue, sleep disturbance, loss of appetite and loss of weight. Whilst delusions of poverty and guilt may occur, hallucinations are less common with psychotic depression. It is not uncommon for the elderly patient to intellectualise their underlying depression, stating “I do feel depressed but that is because of...” explaining-away any need for treatment. However, just because it can be explained it does not mean it should not be treated. In fact, depression is highly treatable. A holistic approach to treatment often produces the best results. This includes consideration of psychiatric medications, addressing stressors, reducing social isolation, scheduling activities and supporting carers. There should be a low threshold to consider antidepressant therapy for the depressed elderly patient. Alternative therapies such as Electroconvulsive Therapy (ECT) may be considered in severe cases, particularly where there is evidence of psychotic symptoms. In addition, Transcranial Magnetic Stimulation (TMS) may be another treatment method. Unfortunately, while depressive episodes are usually treatable, the recurrent nature of this mood disorder leaves its key challenge in maintaining the patient’s wellness and preventing future relapses. There needs to be careful consideration of prevention and protective factors in maintaining a state of balanced mental health, which should be supported by regular discussions with a GP. Referral to an old age psychiatrist may be recommended when there may be uncertainty in diagnosis, failure to respond to standard treatment, intolerable adverse effects of treatment or increasing concerns about the patient’s risk. 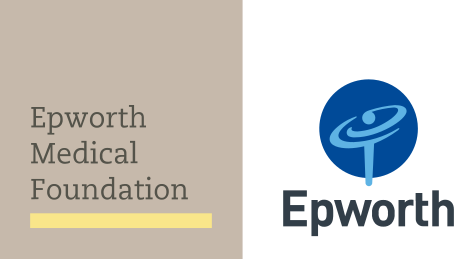 At the Epworth Clinic, a psychiatric service targeted at older people will launch in November of 2015, expanding existing services to assist in the treatment of elderly patients with mental illness.